The first thing to consider is the Chuppah (the canopy you will be married under) and this is a consideration if you are planning to marry in a Synagogue or at the party venue. If you want to marry in a Synagogue, there will be a Chuppah you can use that belongs to the synagogue already. Depending on the style of this, you may wish to decorate this with flowers, netting, voiles, ribbons, fairy lights etc. If you are choosing to marry at the venue you are hosting your party, you will need to hire your own Chuppah. Walking down the aisle is a very special moment during the Jewish Wedding Ceremony and you may also want to think about decorating this. Candles, bows & voiles will all look fabulous. 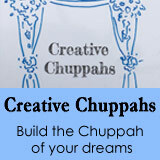 For recommended Chuppah hire companies, please click here. Another consideration when thinking about Jewish Wedding Room Decoration is what sort of venue you are having & what season you plan to get married in. 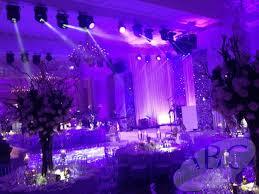 Depending on the type of venue you choose, will depend on what decoration you need. 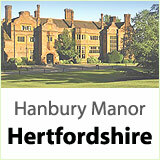 For example a hotel may include dancefloors and table centres. A marquee may include ceiling fairy lights and have lovely draping. Without a doubt, the thing that sets the visual “wow” of Jewish Wedding Room Decoration are the table centres in the function room and there are so many options to choose from. Flowers are extremely popular as they are so beautiful and romantic. They can be set high up, or low down & colours can reflect your theme or the season. Flower table centres can also incorporate candles and sparkly diamantes as well and some people choose to have pin spot lighting, which lights the table centre to create a dramatic look. A cheaper table centre option is hiring them ready made. There are so many options including crystal chandeliers, twigs, giant feathers, lamps, crystal trees, candelabras etc. These are all available to hire and look incredible as part of a Jewish Wedding Room Décor. Table centres can also be made bespoke. If there is a logo or branding to be incorporated into the scheme, this can be included in a table centre. Maybe the Bride & Groom have a favourite hobby and would like to incorporate that into the table centres, e.g. countries, sports, etc. to make them more personal. It is possible to hire clear plastic boxes and put mementos, or other personal items about the newly married couple into. These can also be set amongst flowers or candles. If dancing is on the agenda, a dancefloor is another key element of Jewish Wedding Room Decoration and there are many styles around. Dancefloors with twinkly lights available in different colours, black/white chess board, plain colours, video screens etc. are all on the market and make a real statement in the décor of the room. Another option to add to creating a room with the wow factor, is to decorate the ceiling. Fairy lights are extremely popular at creating that warm fairy-tale environment. Other options are hanging garlands of flowers, sheets of fabric, feathers, balloons, etc. This look is great if you have a theme for your wedding. Another common Jewish Wedding Room Decoration idea is changing the chairs. A lot of venues do not have the most luxurious looking chairs as they do a lot of corporate meetings as well. The easiest way to get round this is to hire chair covers. The most common colours for chair covers are black and white, but a ribbon bow or sash of any colour can also be added to incorporate the wedding theme. Alternatively, you can hire new chairs. Chiviari chairs are very common and available in many colours with different colour seat pad options. Finally, one more thing to consider with Jewish Wedding Room Decoration, is the stage/backdrop for the DJ or band. The stage provides the centre piece to the room. Some venues may offer star cloth as a back drop, or usually the band/DJ can sort this out as well.